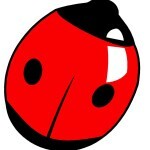 The original Pestalozzi Children’s Village ladybird logo. Chosen as a symbol of good fortune for children. The British Pestalozzi Children’s Village Association was founded in 1947 by Dr Henry Alexander – a German, Jewish refugee, who moved to UK before the Second World War – and Mrs Mary Buchanan – a British sociologist. They had been inspired by the successful efforts of Dr Walter Robert Corti, a Swiss philosopher, and a group of his associates who had created a Pestalozzi Children’s Village in Trogen in Appenzell in the north of Switzerland. This community was initially to accommodate European children orphaned as a result of WW2. Children were housed in small national groups where they were educated in their own languages and cultures. The plan was based on the theories of Johann Heinrich Pestalozzi, the 18th/19th century Swiss humanitarian, pedagogue and educational reformer – his philosophy being summarised as ‘Learning by head, hand and heart. In 1957, the British group purchased a 170 acre property in Sedlescombe, just north of Hastings, East Sussex. Dr. Alexander and Mrs Buchanan had gathered an impressive group of educators, academics, philanthropists, clergy, business people, nobility and other ‘movers & shakers’ to come onto the Trust Council. Simultaneously, they promoted their cause publicly to the British people. In August 1959, the first children arrived at the Pestalozzi Children’s Village in Sedlescombe. These were predominantly European children from refugee families who had ended up in Displaced Persons’ camps in Germany at the end of the Second World War. Additionally, some British children with deprived backgrounds were also selected. The selection process was based on having a lack of adequate family care. A child who lived in poverty but who had a strong and loving family around it would not be eligible. There was also an expectation that the child would have a promising degree of educational ability. In the Sussex countryside the children lived on the estate and attended local schools, once they had mastered sufficient English to move into the community. The first Warden recollects that the children were to be cared for in an environment which was their home as opposed to being an institutional home. Thus, no matter what difficulty a child presented, they would not be removed – in much the same way as they might live in a conventional family situation. The community immediately achieved nation-wide attention and popularity. Hundreds of schools, social groups and other business and community organisations flocked to support ‘the Village’ by fundraising and selling ladybird stick pins for one shilling apiece. The Village was feted by television and radio, including celebrities who lent their names in support of the charity. Significant developments occurred during the early 1960s. In 1963, a group of twenty-two Tibetan children, along with their Tibetan house parents and lama, were brought to Sedlescombe from northern India. These children were integrated into local life, along with the European children. By 1965, when the last of the European children had arrived, it is believed that the Village Trust had decided to focus on supporting children from Third World nations. The original European children began to leave as they completed their secondary education. They were either returned to their previous homes, reluctantly in some cases, or stayed in the UK to find themselves a future life. A small number remained under the care of the Village whilst they pursued a further education. Given the way the Village had started, with its sense of being a home, for many of the former resident children there was a strong sense of loss. They had, in effect, lost their home and surrogate family. By 1967/68, the last of the European children had departed the Sedlescombe community and the early story of the Pestalozzi Children’s Village had come to an end. Through subsequent decades, many of the European former Pestalozzi children have remained in contact with each other, along with a small number of the Tibetans – but with only tenuous links being maintained with the later Pestalozzi International Children’s Village. Then, in 2009, two former Village children, living once again in Germany (now with children and grandchildren), decided to initiate a 50th anniversary reunion. This inspired others and, with the support of the current Village Trust, they were able to involve 30 of the original 61 European children in a gathering in “the Village” in September 2009 (nine of the original group were deceased by this time and another seventeen were still unaccounted for). Former children returned from Germany, Poland, USA and Canada as well as from across the UK. This was an emotional and memorable event and it reminded everyone of the experiences that kept them connected. Through good and bad, it was generally agreed, this had been a profound episode in their lives. William Eiduks and Leonard Clarke (along with others) had long lamented the disappearance of the history – and the apparent misrepresentation of it in several publications over the last thirty or more years. Finally, in April 2013, they were introduced to the idea that the early Pestalozzi story could and should be told and that the wherewithal existed for this to happen. The former children of this community could recover their story, have it recorded for posterity and for the future use of others who might make a difference in the lives of deprived children. And thus began the Early Pestalozzi Children Project.